I was playing with few options and accidentally created this meta tag dfgdfgdg, which I shouldn't have. How can I get rid of it? Do I need a moderator to delete it? I accidentally created a tag. How do I delete it? 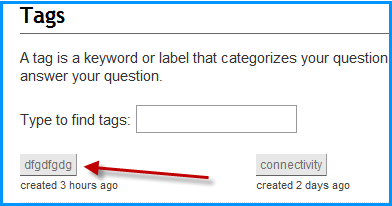 Can tags that were clearly created in error be removed? What are tag badges? How do they work?